Here’s another finished piece that I made about a year and a half ago. I can’t even remember exactly I got the pattern, but I think it might have been out of my Debbie Bliss book. 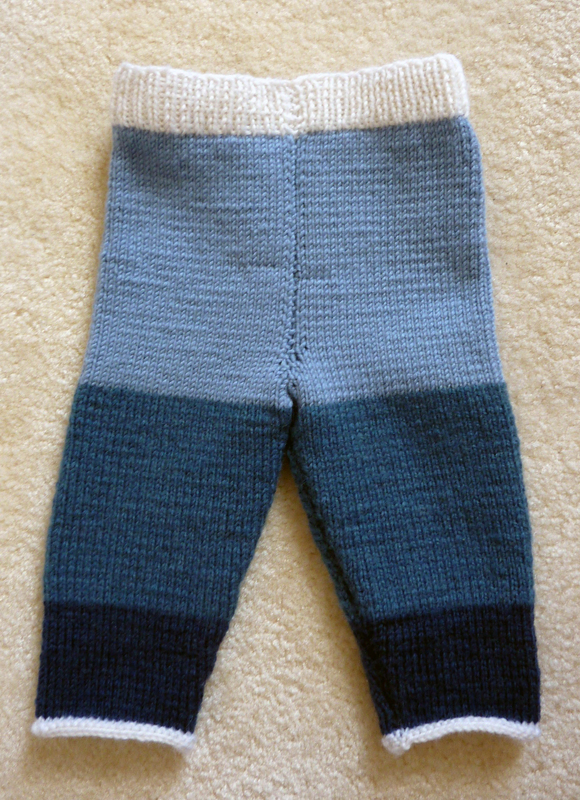 What I do remember is that I was able to use a lot of my leftover Drops Karisma yarn, and I was lucky to have enough blue yarn left to make these trousers, and a cardigan, which I thought I’d blogged about before, but I can’t seem to find it. 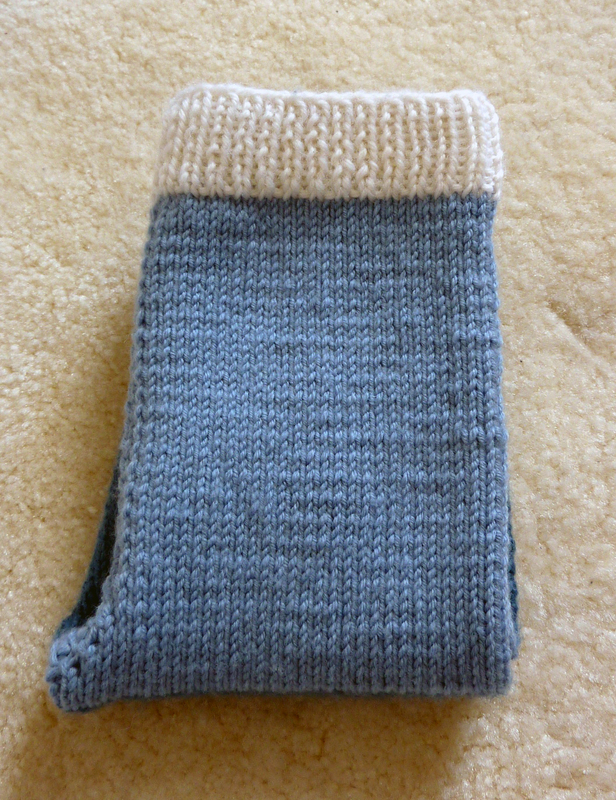 As far as I can remember it was a really nice and easy knit and they were knit up relatively quickly. And here’s a picture with the cardigan. 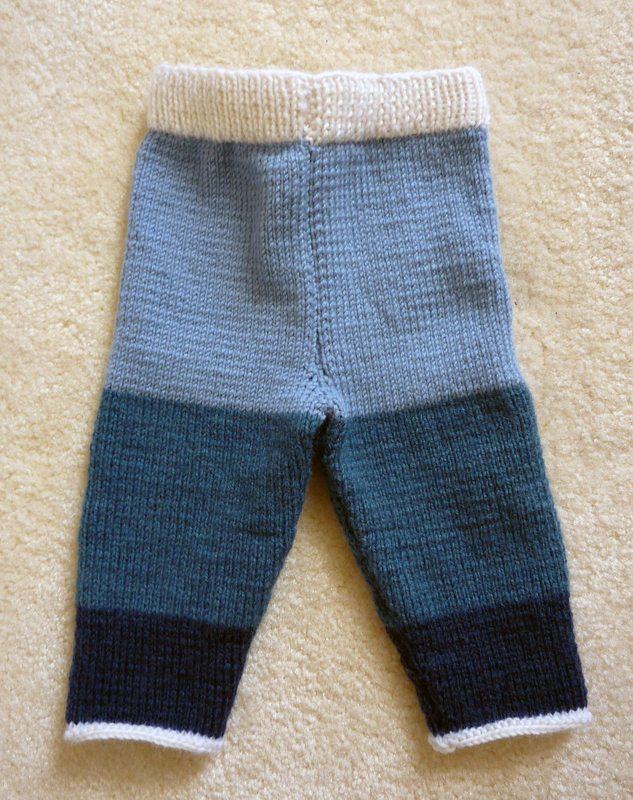 This ensemble was knit for a friend who had a baby last year in September, but their little munchkin was too big to fit into it unfortunately. Or rather, but the time it got cold enough to wear it, he was arleady too big. 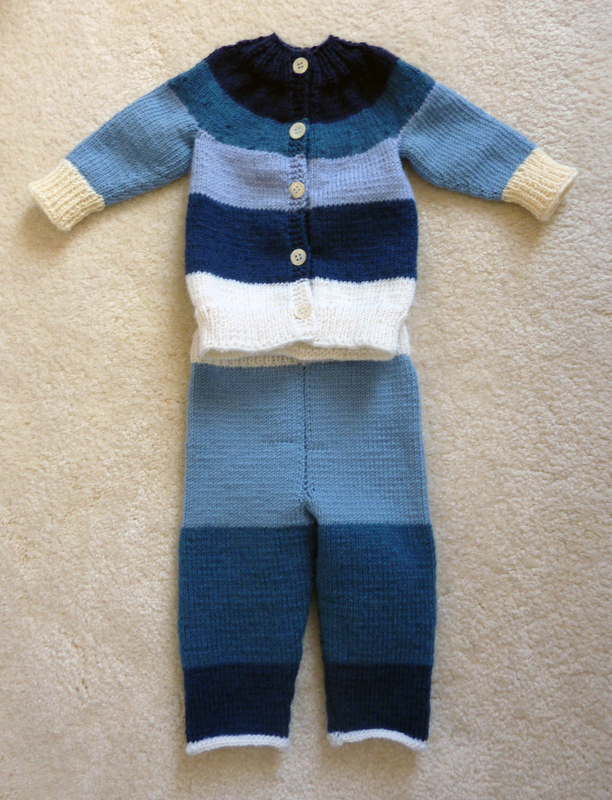 This entry was posted on November 10, 2011 at 7:01 pm and is filed under Baby, Knitting with tags baby, boy, cardigan, ensemble, trousers. You can follow any responses to this entry through the RSS 2.0 feed. You can leave a response, or trackback from your own site. What a shame it was too big/small at the wrong times! It’s such a cute set.